If you are here to find out what is Realty Vids that was very recently launched on 25th January 2019, you are at the right place! Here I will be providing an honest and unbiased review of this product. What is Realty Vids exactly, and how can it work to make money for you? Or is it another useless product that you should not be wasting your time on? Recommended or not? : Recommended, if you know some property agents, and also know your local property market well. Realty Vids is a set of video templates specifically created to showcase properties. Real estate agents will find this useful. You can use the templates to create videos and sell to them the videos for individual property units. A single page video agency theme is also provided for you to sell the videos you create. The main problem I can foresee with this money making method is getting traffic to come to your website. Just relying on property agents whom you know, and maybe word of mouth referrals, your customer base may be rather limited. Moreover, this is like a freelance job where you trade your time for money. You obtain information and photographs of the property from the agent, put everything into a professional property showcase video, and you get paid. The moment you stop working, the earnings stop too. Instead of trading time for money, why not use your time to build up something that can continue to earn you an income even when you stop working on it? Read on for the detailed review of Realty Vids, and why I recommend it if you have the right network. So, exactly what is Realty Vids and how can it generate an income for you? Let’s dive into its promotional video and sales page to find out more. 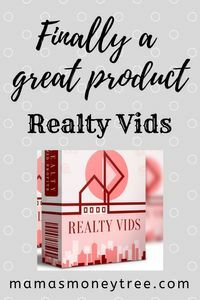 I must say, the sales materials of Realty Vids is REALLY refreshing, it is totally different from the many overhyped and time wasting products that I have reviewed before. This has no hype at all, zero. No income claims. The product creator never makes any promises that you are going to earn how many thousands a month or a day. Niranjan is simply and honestly presenting the product to his viewers. Thumbs up, full marks for first impression. Realty Vids is essentially a series of 6 video templates that you can use, in the position of a video consultant or video creator, whatever you want to call it. 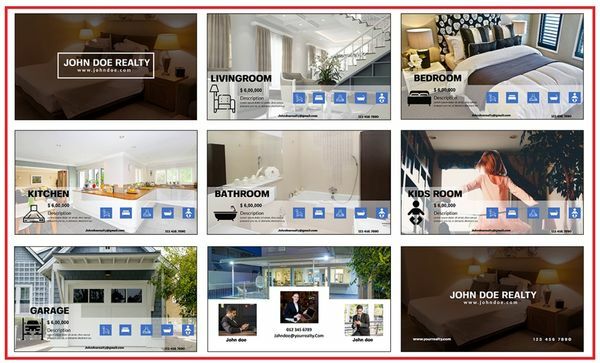 These templates are specifically designed to showcase real estates, properties. What you need is for the property agent to provide you with the details and photographs of the property, and without requiring any skills or expertise in video editing, you can produce a beautiful and captivating video that tries to sell the property. The video software uses a drag and drop user interface, so it is easy to use. 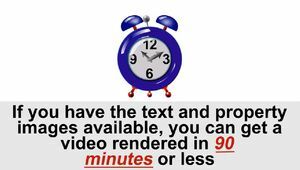 All pre-animated, it is a Powerpoint-based template, so all editing can be simply done on Powerpoint. You then get a payment for every video that you produce, per property. The thing is that you have to be the one creating the videos, you cannot sell the video template to others, as you do not have the reseller rights to the program. Included in the product is also a WordPress single page agency theme, which is e-commerce enabled. This means you can always expand your business to other countries, you do not have to limit yourself to local property agents, as the e-commerce platform allows you to receive payments conveniently and securely. But of course do bear in mind that there will be a sizable monthly subscription cost involved, when you try to set up any e-commerce store. It depends on what kind of package you take up (which in turn depends on the extent of the features that you require), and which provider you choose to sign up with. To make this work, first of all you must know your local property market really well. In a booming market, property agents may relish the idea of property showcase videos, but lack the time to learn how to create the videos themselves. This is where you can come in and sell your service. On the other hand, if the property market is not a bustling one, then agents may not be willing to spend extras on making videos, when their clients will be viewing the real thing anyway. What’s more, with time on their hands, they may even pick up some simple video editing software, and be able to create equally professional looking videos like those in Realty Vids. So landing a client does not guarantee that you will get recurring jobs forever. Moreover, if you only try to take on local clients, the market may be too small to sustain your business. Then you may think, what’s the big deal, let’s just expand the business into other countries, since we have an e-commerce website. The thing about local clients is that you can arrange for face to face meetups, and try to sell your idea to them, which is much more personal than simply sending emails in your marketing campaigns. 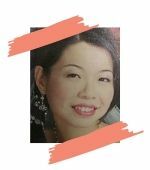 With a global business, you do not get to establish rapport or build trust, and if the credentials and portfolio are just beginning to be built up, it may not be so easy to land clients from countries other than your own. In the first place, how will people even find your website? If you were to pay to get traffic coming to your site, you may burn a big hole right through your pocket, if you do not know much about paid traffic. It is a very steep learning curve, as you have to know your customers’ needs, preferences, behaviour pattern, etc. in order to know what kind of profiling to target in your advertisements, that will get you traffic that needs your video service. This is where free organic traffic comes in, traffic from search engines. Can you imagine how booming your own video creation business will become, if search engines were to send tons of free traffic to your site? People looking for property showcase video creators, from all over the world, will be sent to your site, if it gets to rank on page 1 of the search results. With this kind of traffic, you will not have to go looking for clients, as they are the ones who come knocking at your door. Then you will ask, how to get ranked on page 1 of search results in the first place? Without spending a single cent on advertising fees? The answer is simple, but it takes some time and hard work: you keep building up the content on your website, so search engines begin to see you as the authority in the niche of video creation for property agents. Then when the agents search for video service, you website will land among the top of their search results. You get targeted traffic that is ready to buy your service, because you provide the perfect match for what they want. I really like the owner Niranjan’s style of marketing this product. His sales campaign is very down to earth, no hype, no boasting of any income claims. So he is sincerely presenting this set of video templates to you, allowing you to decide for yourself if this is a possible business venture that may work out for you. He does not try to hide the method and how it works, unlike many useless products that are cloaked in secrecy and try to get you to purchase them by hooking your curiosity. Niranjan is forthcoming about what you will get in Realty Vids, and even shows through a sample video how the final product will look like. He is not worried that you may compare it against any video editing software that can produce the same or even better results. This can be a freelancing avenue for you, if you think it is the kind of work that you like. But you do have to know your local property market well, since you are likely to start by sourcing for local clients. If the property market is in a lull, or just haven’t had a lot of action all these years, then I wouldn’t advise you to go for this. Because if you don’t have local jobs to work on for a start, you can’t build up your portfolio and credentials, then it would be much tougher to break into the international market. Getting your website up and running takes time and a lot of hard work, before the search engines will start to take notice of it, and slowly improve your ranking in the search terms. When you get into a business like this one, creating videos for real estate agents, owning a website that is e-commerce based, you are sinking an investment into the e-commerce platform, which may or may not get you the returns, depending on how your business works out. That is why, before getting into this, you really need to survey the property market and get to know it well. Talk to property agents whom you know, to sense if they would be willing to pay for this kind of video service, and how much per video they would pay. Even though the investment for an e-commerce platform is nothing compared to a brick and mortar business, you still have to plan and consider everything carefully, especially if you are going into this full-time, without any backup income source. This kind of business model is kind of like a hybrid. There is an online aspect, for sure. But then the real stuff you are offering is a service, with a tangible product: the property showcase video. So you have to be prepared to deal with fussy customers, special requests (like special video effects, or sound), etc. To build up your reputation as the property video expert, you want 100% customer satisfaction. All these take time and effort: nurturing customer relationships, editing the videos to their satisfaction, or even sourcing for other video editing software if they are not happy with any of the 6 templates. You can’t just say sorry, these 6 are all you have, there is nothing else you can do to improve the quality. The only upsells in this product are reasonable ones, in my opinion. They are extras that may help you if you were to expand your business. Since the product is of a downloadable nature, there is strictly no refund for it. Again, this is reasonable, to protect the owner’s rights. But it means you need to think twice, or thrice, before finally deciding on the purchase. Is Realty Vids Scam or legit? Realty Vids is definitely a legitimate program that can work for you as a side hustle or a freelance job, or even a full time job, provided you have confidence in the property market. I do recommend Realty Vids for people who have connections with property and real estate agents. With this, you have the freedom to work wherever and whenever you want, and even how much you want to work. But no matter how good it seems, you are still trading your time for money, in any freelance job. You have to deal with the quirks of some customers, unreasonable demands sometimes, etc. 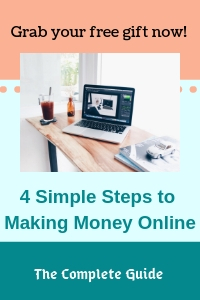 While you do this for a livelihood, why not set aside some time to build up another online business, in a way that whatever hard work you put in today is going to continue earning you an income years down the road? Want to see how I build up my passive income stream? I do not have to own or create any products, no inventory or delivery involved, no angry customers to deal with. I simply focus on building up the content on my website, in a niche of my choice, my own passion or hobby. Put in enough time and hard work, I will get an income that sustains itself even after I ease off the effort that I put into the website. Then I can spend time doing other things I love, or simply start building yet another passive income stream. Want to learn how it can be done?